Stay tuned! Check out the categories on the right, there’s a whole section for WHY Wednesday. Take a read at previous ones. And if you have any WHYs, feel free to send me a note at simplythreecents@rocketmail.com and I can post yours as an upcoming post on WHY? Wednesday. 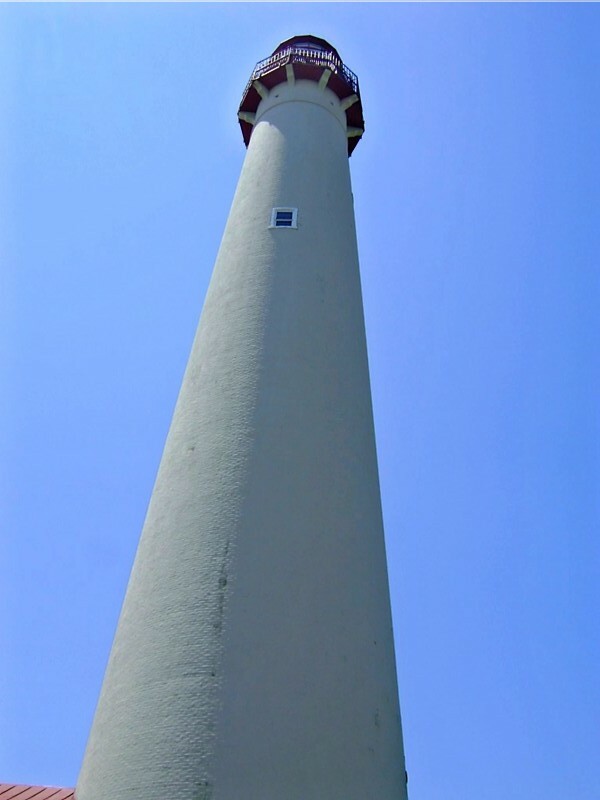 There were probably a few WHY Wednesday posts that could have come out of my girls getaway to Cape May. But the biggest question of all…is WHY don’t I have a job that allows me to be at the beach all day, every day…in a town that clearly doesn’t take themselves all that seriously. Soon. I will be home soon. If you are all caught up with my blog posts, visit Simply Three Cents on Facebook and become a fan. Each daily post will appear in your feed so you don’t have to remember to check the site everyday. Or sign up. On the right hand side, you can enter your email and you can choose to receive my posts daily or weekly right to your inbox. It’s like a daily paper. Except I don’t have to ride my bike at 5am to make sure you get it on time. You can read at your leisure. Tuesday morning we got up early, had some breakfast, since the beach chair people wouldn’t set up til at least 9. So with breakfast in our bellies, we went to the beach for another two hours or so. Then made the sad drive home. The NJ Parkway is kind of pretty far south but as you go farther north and then transfer to the NJ Turnpike, boy is it ugly. The only good part about the NJ Turnpike is that for a few exits the planes over head are taking off and landing from Newark Liberty Airport and it’s cool to watch from the road. The traveler in me always wonders where they flights taking off are headed and where the flights landing had just come from. This is just a placeholder of scheduled posts. But check back in a few days and I will be sure to post thoughts, observations and travel tips from my girlie getaway! Feel free to read around other parts of the blog. What categories interest you? Apartment living? Food? Holidays? Shopping? Things that make me smile? Travel? Wanderlust? Check out the categories on the right. Wordpress allows me to categorize posts, so that my readers, all five of them, can check out my posts by what interests them. So go on, check it out. Oh Monday. Two of us went for a bike ride, and one for a run. 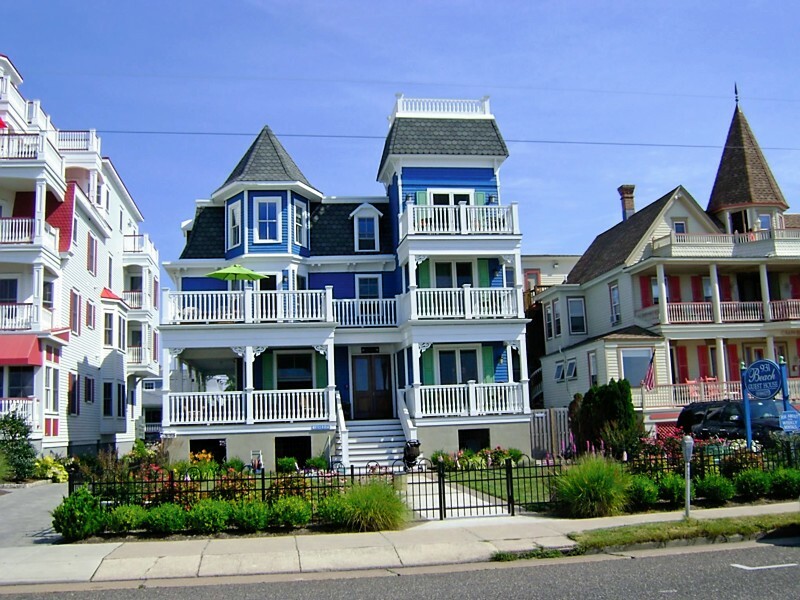 The houses in Cape May look like gingerbread homes and each is prettier than the last. Check out some of my favorites. We rode our bikes to breakfast at Uncle Bills Pancake House and then after speaking to our waitress – who looked 16 but had to be at least 21 from her stories helping further declare that we are old – decided we would bike it to the Cape May Winery, a few miles away. Over a bridge that had a huge hill, ongoing construction and no shoulder in one direction. But people, yes, they are nice down there. Three bikers en route to a winery holding up traffic while pumping those pedals up hill. And not one car horn. (Wait, it gets better on the way back). 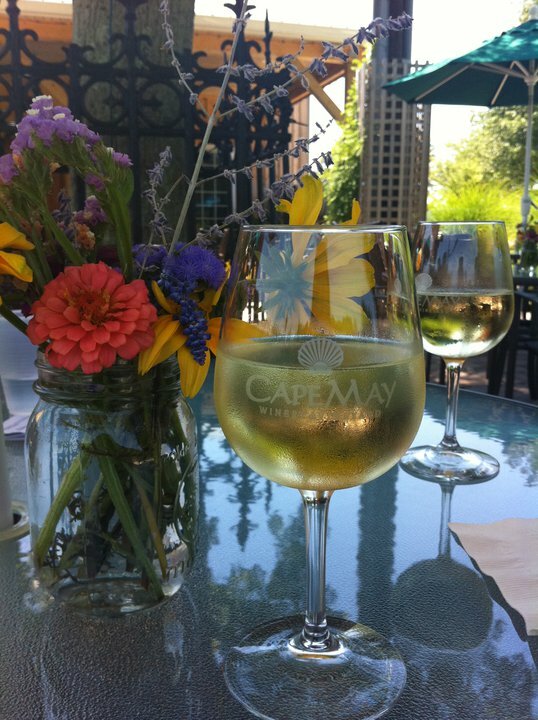 Made our way to the Cape May Winery which I highly highly recommend. We were not expecting much but all three of us were pleasantly surprised. Our experience was top notch. Plus it was a Monday. After our tasting, we each bought a glass and shared a cheese plate. Sitting outside on a day with perfect weather looking at the grapevines on a Monday, scores an A plus in my book. The ride back…oh you pesky bridge. This time we had to merge with traffic but couldn’t ride up the hill. So three of us walked our bikes, with traffic backing up behind us. Not one beep. Not one. Once we made it to the top, we got back on the saddle and basically flew back to our hotel down the big hill. Post-winery, we hit up the Rusty Nail (yes again, don’t judge!). It is part of our hotel, the Beach Shack. And how convenient because Monday from 11 til sunset is no shower happy hour. $1 Miller Lite bottles. Winning. After a couple of rounds, we headed to the beach and took to some good reading, and napping. Around six, we left the beach, got ready for dinner and rode off to return our wheels (the bikes) by 7p. Dinner on our last night. Where to go. Well, I can tell you where three 30-something ladies with no kids don’t want to go. That would be the restaurant where we actually sat down before realizing it was kid’s night. And not just kid’s night dinner specials. Clowns, face painting and balloon animal making. It took us a hot thirty seconds to get up and get out. But should you have a child, I highly recommend. We went to a more family style restaurant. Looked right out of 1975. Carpet, wood walls. Our food took a long time but it was our last night so we weren’t in much of a hurry for dinner to end. Typical bar food. We had quesadillas, burgers, crabcake sliders and fries at our table. Headed back to the room around 10p. We were able to get in two rounds of Rummy 500…which on the prior year’s girls trip to St. Lucia, we had played plenty since it rained every single day except the day we left. We did not have that problem this year. The weather was gorgeous. Gotcha again with my previously scheduled posts. But check back in a few days and I will be sure to post thoughts, observations and travel tips from my girlie getaway! Aside from my travel posts, these are some of my favorite posts. Take a read. visited the gift shop and biked back to town. This was a few miles each way so when we returned, we visited the Ugly Mug bar for lunch and to watch the end of the women’s final soccer game. Post lunch, we hit up the pool, and the poolside beverage service. We had bought three day beach passes so we could have merely crossed the street, but today, today would be a pool day. Sidenote: Yes, we had to pay to get on the beach. I think New Jersey is the only state that charges people to get on the beach. For that matter, the state charges you to drive on their roads too. And yet somehow the state is still ridiculously over budget. Go figure. Post-pool we went to return the bikes with a stop at the local Acme to stock up on jugs of water and some snacks. When we were about to hand over the bikes, one of us had the great idea to keep them for another day. So with a brief stop at the bike shop we handed over payment and secured the bikes for an additional twenty-four hours. Dinner was a late one on Sunday night at the Blue Pig Tavern, at the Congress Hall Hotel. 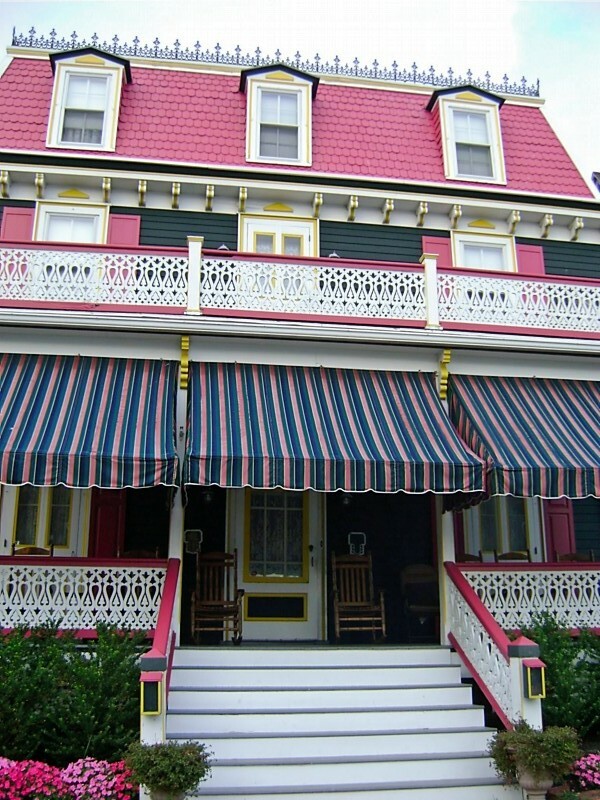 This hotel is a sister property to where we stayed but has been in business since the 1800s. After dinner we took a leisurely walk back to the Rusty Nail (I told you we spent some time there!) for some live music. As you can imagine, a Sunday night was much quieter, but still a very chill, relaxed feel. And then off to bed. I should note that while on vacation I had some crazy dreams. In fact, I think it was Sunday night, I dreamt that I was Kate and Wills (oh yes, the royals) personal tour guide around New York City. It was a nice dream. No, not really. These are scheduled posts. But check back in a few days and I will be sure to post thoughts, observations and travel tips from my girlie getaway! If you’re really hungering for some Simply Three Cents reading, check out the links on the right…not the categories but the tags. The tags are reserved for my travel posts. Click a place, and take a quick getaway from your chair! We did get to the beach and since we couldn’t check in until three, made our way to the beach, the bar and lunch. By the time we checked in we had experienced a good chunk of our trip. Lovely day. Lovely dinner. Martini Beach. We ordered tapas to share at the table. I don’t believe I have ever tried escargot, but it was delicious. As were the blue cheese stuffed olives in our martinis. Then back to the Rusty Nail for some drinks and live music. This bar has such a fun day vibe, but we only had one complaint for the night scene. I realize Cape May is a quieter town and all but get the Saturday night band, which was good, played a little on the slow side. And when they did play something that three 30-something girls would want to dance to, they played it, then said they were taking a break. When the dance floor was packed? Really? That would be my only complaint about the Rusty Nail. We had many great meals there, fantastic drink specials and the staff and bartenders were fabulous. 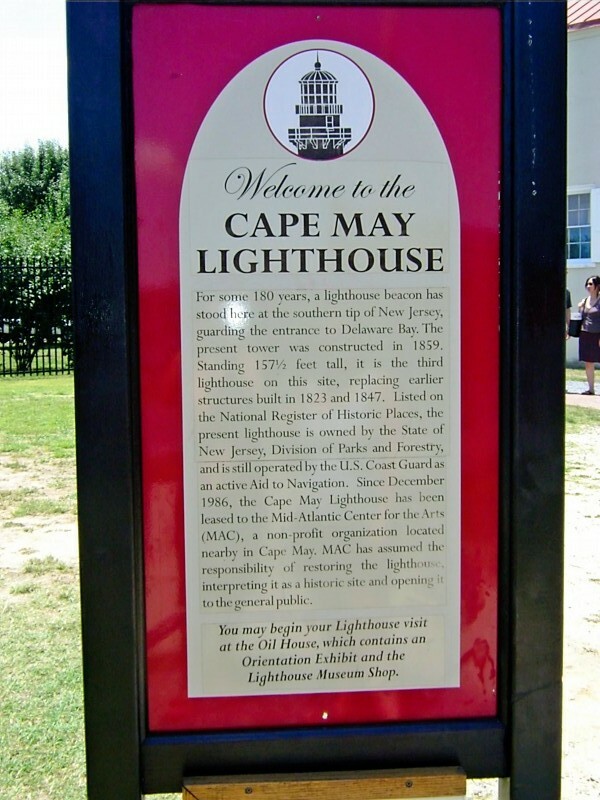 Tonight I will be heading to Cape May, a beach town along the Jersey Shore, with two dear girlfriends. This is our yearly girlfriend getaway, and I trust we will continue to make these yearly trips until we are old and gray. The three of us started our annual trip a few years ago. We started in Chicago (when one of us was living there) in December 2008 and then we did Boston (it was quite chilly) in October 2009. Then we decided enough with these cold weather trips, and we went to St. Lucia in April 2010 (where they had weeks of no rain before we arrived, but for us, it rained every day except the day we came in, and left). 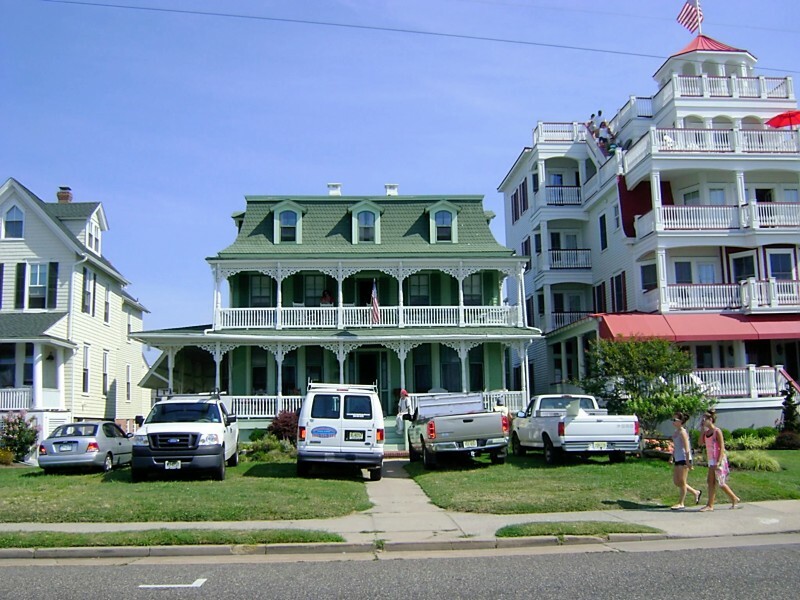 This year we are headed closer to home to a small Jersey Shore* town called Cape May, in the middle of July 2011. Fingers crossed we get good weather. Even if we don’t, we honed our card playing skills in St. Lucia. Rummy, War, what have you. It could be time for a rematch. But Mother Nature, if you’re listening, we’d really, really like the sun to shine while we are beach bound. For you loyal readers, who know I post once a day, or schedule posts so it looks like I post once a day, I won’t be posting while I am away. I want to unplug! But I will come back to the days I was gone and post daily trip reports / stories when I return. So keep an eye out. And now, to entertain you with a popular song with the locals…On the Way to Cape May. 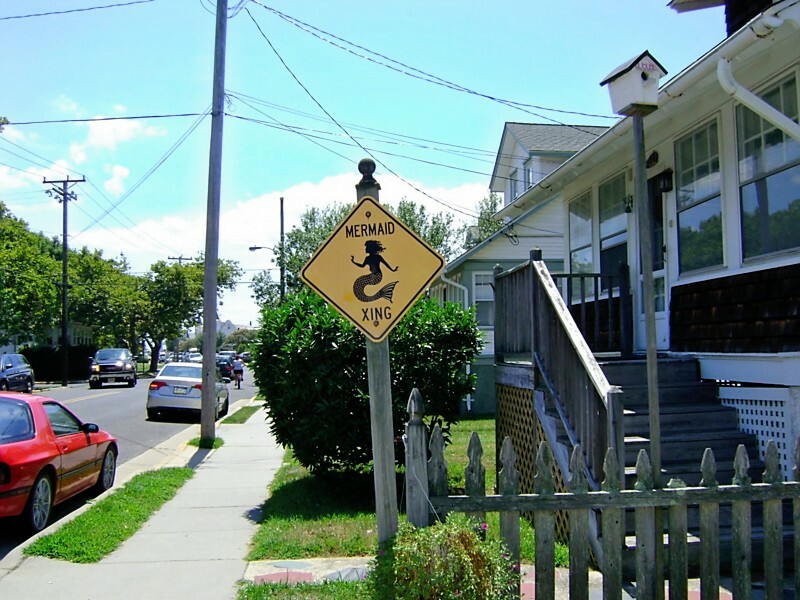 * For those of you only familiar with the Jersey Shore thanks to the TV show of the same name, this is not one of those kinds of towns. Most of the shore is not like that either. But where we are headed, we shouldn’t have any Snooki sightings. Or anyone like her either. Tonight kicks off three weddings in the month of April, and one in May. April has five Saturdays and we will be attending weddings on three of those! Another wedding in May brings the total to four weddings in eight weeks. Now that I have loads of dresses to choose from, I’m all set!